This episode starts with the state of Madhya Pradesh (MP) in Central India. The world famous Khajuraho group of temples if located in MP. MP is well known for its diamond mines and dense forests. Where does a forest stand without rains? . The village folk of MP are overjoyed on seeing rain clouds and perform the rain dance Phagun. This episode also features Tera tali – a Rajasthani folk dance where small symbols or manjiras are tied to the hands and legs of the dancers and bells sound in rhythm as they dance. This is followed by another Rajasthani number Duff Dance, performed with small circular drums in hand, during the Holi festival. The men and women of Gujarat perform Dhandiya Ras – a vigorous and rhythmic dance with batons, where the dancers leap and crouch in twirling patterns. This episode starts with a Rajasthani folk number “Bhavai” danced by balancing several pots one above the other. Most of the folk dances evolved as a spontaneous way of life rather than entertainment. For example, “TIPPANI” was danced as the women labours were laying roads much before the arrival of mechanized gadgets for road-laying. Indeed rhythm is the back-bone of dance and the tribes of Mizoram in Eastern India perform the Bamboo dance, weaving intricate patterns in and out of the bamboo sticks. As we travel about 3000 kms from Nagaland to Southeastern India, we come to the green landscape of Kerala, known for its backwaters coconut trees and martial arts, besides dance forms. 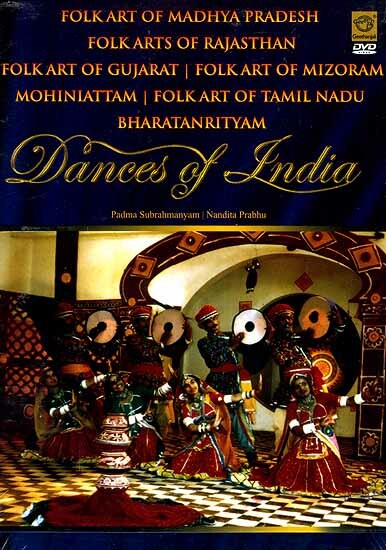 This episode also features Mohiniattam – a classical dance form of Kerala, performed gracefully by Nandita Prabhu. There is no city or state in the world which does not celebrate a wedding. However there are some people who celebrate it with pomp and splendour like the Rajasthanis. Here is a dance Baaraat describing a Rajasthani wedding. We move back to Tamilnadu where we started and show a small folk number Kolakattam performed by young girls in villages. All the dance forms we have seen in this serial, the classical and folk forms of India, have a common heritage, derived from Natyashastra. This aspect of Unity in diversity has been well researched by Dr. Padma Subramanyam and forms the basis of her style BharataNrityam. 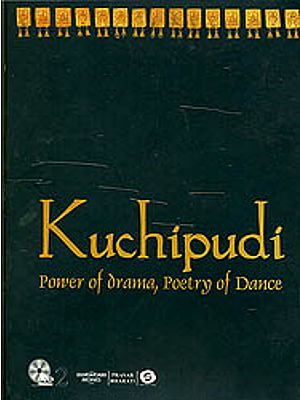 This episode features a Kuyilpattu Varnam (a song by poet Subrmaniya Bharati) performed by Dr. Padma. The serial concludes with a montage of the various dance forms portrayed in these 13 parts. More than two hundred celebrity dancers of India have been brought together for the first time, in this 13 episode TV Serial which features the different classical styles of India as well as several folk art forms across the country.